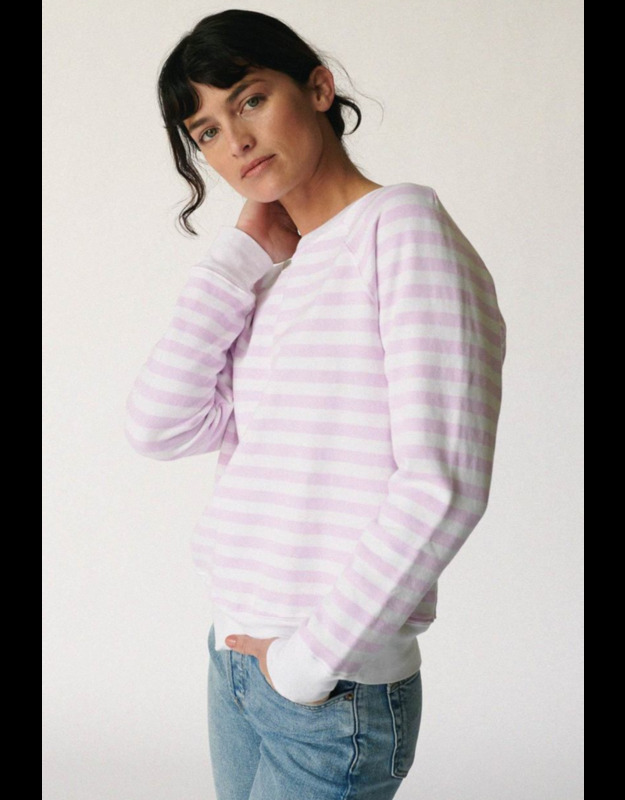 Stripe french terry raglan sweatshirt. A classic pullover with a relaxed fit. Designed with a classic crew neckline, raglan sleeves, and hits rights at the hip. 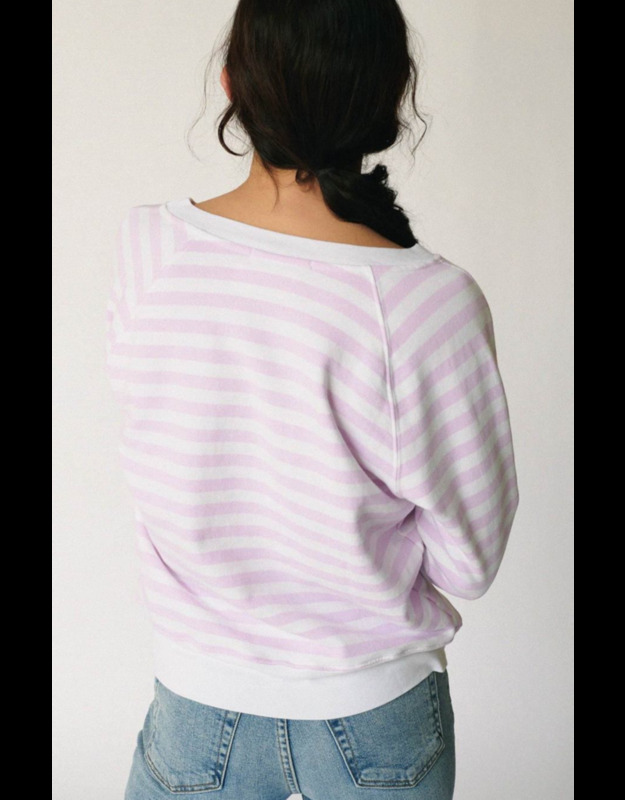 Available in lavender stripe. Made in the States.